Vancouver is a coastal seaport city on the mainland of British Columbia, Canada. There are over 2.3 million residents there making it the third most populated metropolitan area in the country and the largest metropolitan area in Western Canada. It is best known for its beautiful natural scenic locations, unlimited outdoor ocean and forest activities, fantastic culinary excellence, and of course their beloved Vancouver Canucks professional hockey team! Each year over a million people pass through Vancouver on cruise ship vacations, often headed North for Alaska. 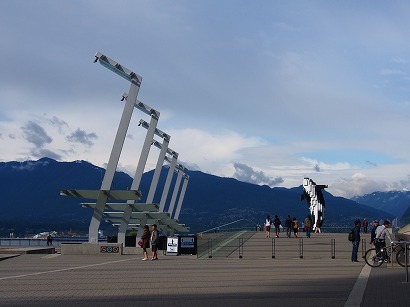 Vancouver has very diverse cultural roots and a long history dating back to 1792 when explorer George Vancouver, for whom the city is named, passes through the inner harbor of Burrard Inlet and gave various landmarks British names. Over the years Vancouver has played a significant historical role in the “Fraser Gold Rush” of 1858 and the “Klondike Gold Rush” in 1898. But did you know that last month Vancouver once again played a part in a third historical search for Gold? 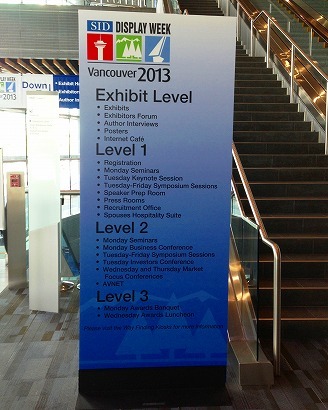 The Society for Information Displays (SID) made history last month when it held the “Display Week 2013 Show” in Vancouver Canada! That’s right. This was the first SID show held outside of the United States, and many attendees were looking to “strike Gold” at the show as they walked through the exhibition hall checking out latest in display products and technologies! Sun-Tec was among those companies exhibiting at “Display Week 2013”, and making history. Our focus was on our lamination equipment which is compatible with touch screen display manufacturing. We had the TMS-22S-TS and the APF-07S-TS on display in our booth as our demo equipment highlighting the ability to perform “glass-to-glass” lamination using our proprietary tail-stopper feature. 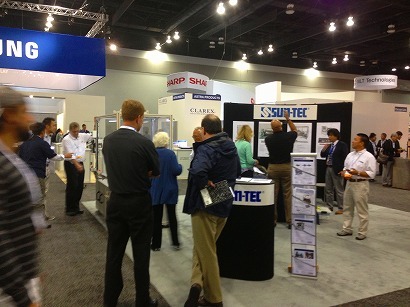 The show in Vancouver was a success for Sun-Tec based on the level of interest that we had in our booth for our equipment. Now comes the hard work of following up with each of those visitors. I learned long ago to treat every opportunity to talk with a customer face-to-face like it is a “piece of Gold”. Based on that thinking, we hit the “jack-pot” at the “Vancouver Gold Rush” of 2013!